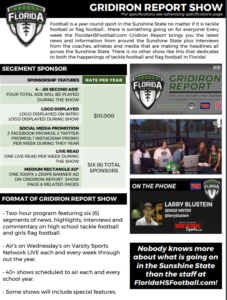 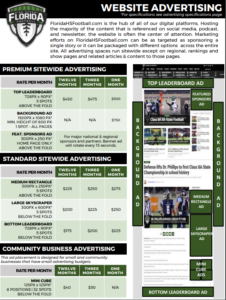 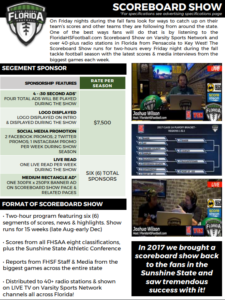 Thank you for your interest in FloridaHSFootball.com’s multiple options for advertising and sponsorships as Gridiron Partner of FloridaHSFootball.com. 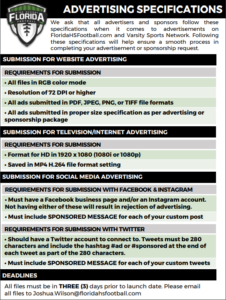 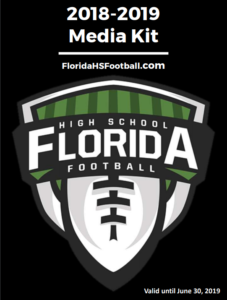 You can click to get information just on specific sections or download our full media kit below. 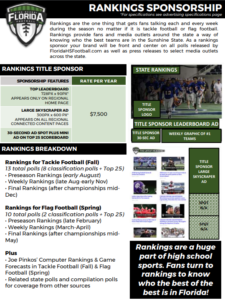 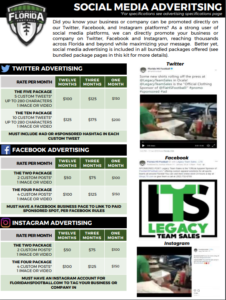 Everything you need to know about FloridaHSFootball.com including up to date statistical information and pricing is included in all kits. 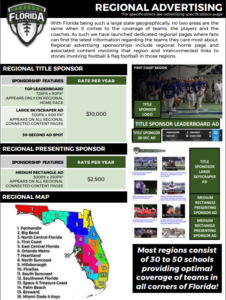 For questions, comments, thoughts or proposals, please either contact Joshua Wilson via email or phone (904) 712-4735.